On Thursday Chinese President Xi Jinping will welcome leaders from 37 countries and delegates from over 150 countries at the second Belt and Road Forum in Beijing — an opportunity to promote the initiative's successes and address issues raised by its critics. The big picture: High-profile projects in Sri Lanka, Malaysia, Montenegro and elsewhere have undercut the Belt and Road Initiative's promise to deliver "win-win" outcomes, appearing to benefit China at the expense of its partners. Xi will be aiming to repair the damage these scandals have done to the BRI brand. Where it stands: China's partners and outside observers have raised concerns around the BRI's strategic aims, as well as about corruption, debt sustainability, environmental impacts and local benefits. A draft communique includes new language that underscores the importance of manageable debt loads and "green development." Chinese officials are considering steps to improve project selection and assert greater control of the BRI, including adopting criteria for BRI projects. There has been no definition for what qualifies as a BRI project, allowing interest groups within and outside China to attach their agendas to the BRI. Beijing also wants to attract more partners to finance BRI projects, helping it share the burden for backing projects as well as the reputational hit when things go wrong. Yes, but: Real changes will involve difficult costs, mostly for China. Ensuring that projects deliver more local benefits — by hiring more local workers, for example — means hiring fewer Chinese workers. Bringing in outside partners could mean less control over project specifics. Increasing transparency will make it harder to favor certain firms and funnel money to friends in high places. The bottom line: China's promises for a revamped BRI will require further monitoring and scrutiny. While recent statements from Chinese officials are encouraging, better outcomes will require not just symbolic documents and politically expedient promises but also greater transparency and stricter enforcement. Go deeper: Read the CSIS Global Infrastructure Task Force's BRI report, "The Higher Road." 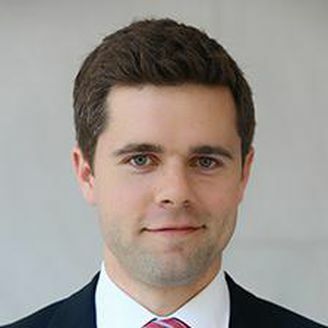 Jonathan Hillman is director of the Reconnecting Asia Project at the Center for Strategic and International Studies. Greece joined China’s club of Central and Eastern European countries during the group’s meeting in Croatia Friday, in another symbolic victory for the Belt and Road Initiative (BRI) just weeks after China signed a memorandum of understanding with Italy. The big picture: China has long insisted that this grouping, now the “17+1” format, will not undermine the European Union. But it has adopted very different investment strategies in EU and non–EU countries. Between the lines: More than anyone, it is Beijing that wins out as countries compete for its attention, mainly in the form of bilateral deals. Roughly 70% of China's announced European deals are in non-EU countries — where environmental and procurement standards are lower and corruption is higher — even though they make up only 6% of the group’s collective GDP, according to CSIS data. Debt risks are rising. Montenegro, a member of NATO but not the EU, has seen its ratio of debt to GDP skyrocket from 63% in 2012 to nearly 80% in 2018. To make matters worse, it signed a highway deal that is worth over 25% of its GDP — in a contract that allows China to take Montenegrin land as collateral and requires any disputes to be settled in Chinese courts. Greece’s entrance into the group could fuel speculation about cooperation on new multi-country projects, especially links between Greece’s Port of Piraeus, majority-owned and operated by China's COSCO Shipping, and destinations farther inland. 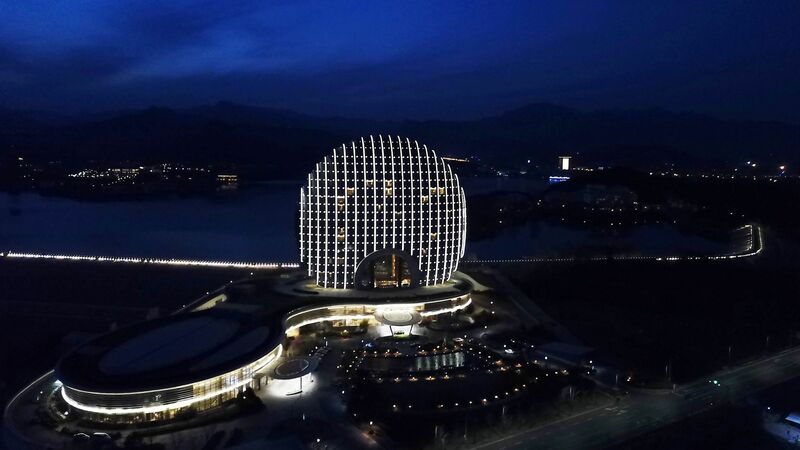 What to watch: Later this month, China’s Belt and Road Forum is expected to attract representatives from over 100 countries and 40 heads of state. But what these celebrations conceal is that activity along the Belt and Road, including in Central and Eastern Europe, has declined. As China pushes to expand participation, but has less to dole out, the gap between expectations and reality along the BRI is likely to grow. Xi Jinping arrived in Italy today to sign a memorandum of understanding for the Belt and Road Initiative (BRI), a development that has already drawn criticism from the U.S. The big picture: Washington’s frustration is understandable, but it plays right into Beijing’s hand. Publicly criticizing Italy’s decision gives unwarranted weight to vague documents that, like the BRI itself, overpromise and underdeliver. Vague and generic promises: Chinese officials make a point of claiming that the BRI will be tailored to promote local development goals, but the MOUs use boilerplate language. Occasionally, a mention is made to “link” or “align” the BRI with a partner’s development plan, but how that will happen is not spelled out. Narrow, typically bilateral scope: China is pushing to give the BRI a multilateral sheen, but in practice, it is a sea of bilateral deals. That way Beijing always gets to be the big party at the negotiating table. Diluted value: Chinese state media claim that cooperation documents have been signed with over 150 countries and international organizations, but participation is no guarantee of investment. The longer the list of BRI cooperation documents grows, the less signing them means. Between the lines: Rather than inflate the importance of these documents, U.S. officials should continue to focus on the BRI’s specific failings. There are plenty to highlight — lack of transparency, contributions to corruption, unsustainable debt, environmental damage, bias toward Chinese firms — and many countries that have signed BRI cooperation documents have found the experience disappointing, even painful. The bottom line: Ultimately, nothing speaks louder than better alternatives. Consider the difference between a BRI MOU and a high-standard regional trade deal. The former is weak, vague and bilateral. The latter is legally binding, specific, multilateral — and conspicuously absent from the U.S. economic playbook.